Garrett Youngquist will potentially compete at Montana Junior High Rodeo Finals in his hometown of Sidney in May and June. There's no Opera House to be found in this Sidney; there is, however, a nice, clean fairgrounds that will be home to this year's Montana Junior High Rodeo Finals. The Richland County Rodeo Club has decided to host the 2019 and 2020 finals at the fairgrounds in Sidney, Montana, May 31 to June 2. The club will have the option to host in 2021 as well. 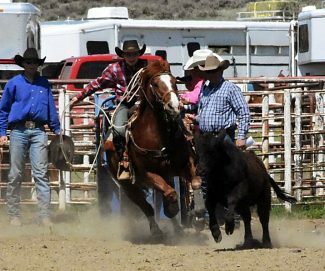 The finals move every couple years, and when there was seemingly little interest to host elsewhere, the parents of Richland County junior high rodeo athletes decided to take on the challenge. The rodeo club, made up of four to five families, all of whom have youth participating in junior high rodeo at the moment, has been in existence for more than 40 years and hosts a youth rodeo over labor day weekend annually. Scholarships are also awarded to graduating seniors who participated in the rodeo club. "Our youth rodeo is known for prizes, lots of good quality prizes," Richland County Rodeo Club President Tim Larson said. "The rodeo moms in our families have been awesome, just going gangbusters. There will be a lot of neat things for the kids." The rodeo club is asking for sponsorships from businesses and individuals to go toward prizes and awards for the youth. To be a sponsor, please contact Larson at 406-480-2666 or Erin Ellington at 406-489-3463. Prizes will be given to the top two athletes in each event for the state rodeo and the top four for year-end awards. The top four in their respective events will also qualify to compete in June at the National Junior High Rodeo Finals in Huron, South Dakota. 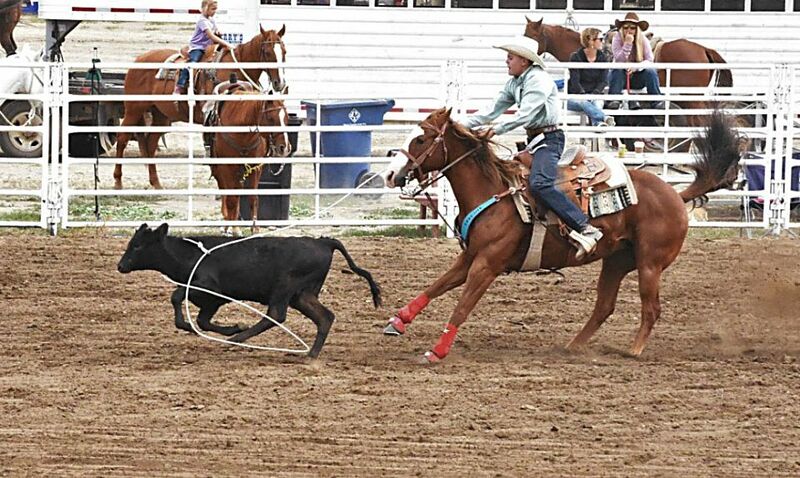 Approximately 90 junior high students are registered with the Montana Junior High Rodeo Association.